This time I want to talk about LG L30 smartphone, its features and firmware. I have to admit that I have special feelings with this phone, because I used it for about two years. I have my oww opinion about it, and I am ready to share it with you. LG L30 was released in 2014, and I immediately bought it. Of course, it was not a flagship smartphone, but it offered quite interesting features. Now 3.2-inch display looks very small, but at that time I was very pleased with its using. It is a compact phone that fits comfortably in any hand and in any pocket. As for performance, it is also good. 512 MB of RAM and 4 GB of internal memory - this may seem strange, but few years ago it was good hardware. The phone ran any games and applications without any problems. Now when no one is surprised by 8 GB of RAM and 128 GB of internal memory, LG L30 looks very old, but I must say that some of my friends still use it as their primary device. Of course, I have good memories of this device, and if you are the same lucky owner, then you may need LG L30 firmware. Below I have a complete list of available firmware, as well as instructions on how to install it. LG L30 was sold all over the world, so the smartphone is available in different models. They are practically the same, and differs with only model number, but you still need to install the firmware for your model. If you install the firmware for another phone model, you may have problems. Be careful! If you install LG L30 firmware for the first time, then you need to read tutorial. I prepared a step-by-step guide on how to install KDZ firmware. Are you ready? 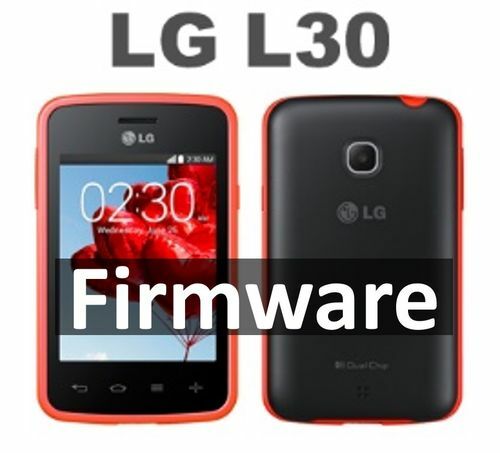 Then use the link below to download all available LG L30 firmware. Also, from the link above, you can download utilities and drivers needed for the firmware. I hope that you have succeeded in installing LG L30 firmware. If you have any questions, please write in the comments below.